A drop-in session is being held in Silver End to explain and discuss a proposal for an integrated waste management facility on the former Rivenhall Airfield site in Essex. 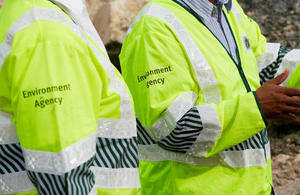 Gent Fairhead & Co. Ltd has applied to the Environment Agency for an environmental permit to operate the facility there. On Wednesday 2 December between 2pm and 7pm Environment Agency staff will be at the drop-in at Silver End Village Hall, Broadway CM8 3RQ to discuss the proposals with people and explain their role in permitting and regulating this type of facility. They will explain what will happen and how people can be involved during the consultation and decision-making process. An environmental permit from the Environment Agency needs to be in place before the plant can start operating. Environmental permits contain specific conditions and emission limits that must be complied with while the plant is operating. The Environment Agency’s role is to consider the environmental impacts the plant could have on human health, air, water, land, habitats and species of animals and plants. It also looks at noise levels, energy efficiency and the sustainability of the plant. Planning permission for the waste facility was granted by the Secretary of State for Communities and Local Government in 2010. We urge people to come along and talk to us about our regulatory involvement in the Gent Fairhead & Co. Ltd proposals. We’d also like to hear their thoughts and concerns to make sure we consider local representations in our decision making process. The consultation period on this permit application starts on 26 November and closes on 24 December 2015. At the drop-in people will be able to see the full application and make comments on it. Further copies of the application (EPR/ KP3035RY/A001) will be available at the Environment Agency offices, Threshelfords Business Park, Inworth Road, Kelvedon CO5 9SE, as well as the public libraries in Coggeshall and Kelvedon.